Welcome back, Judges! This week’s rockstar is a former World Champion turned TO and Judge extraordinaire. Let’s get to know a little more about Patrik Šurab. Random fact about yourself: I met my fiancée and best friend thanks to MtG. You were nominated for your outstanding leadership within Slovakia, including an outstanding performance as the HJ of Slovak nationals and organizing an upcoming conference. Why do you believe it is important for judges to step up and become leaders in their local region? As Eric Levine writes on his blog for judges…”leader is a mentor before, during and after events.” And I believe that a good leader and tournament organizer should be mentor not only to his judges but also to his players and community. Judges are able to help players in their region and THAT is the important thing. Players always respect judges and they see them as authorities, which makes it is easier for them to become local leaders. But with this great power comes a big responsibility. 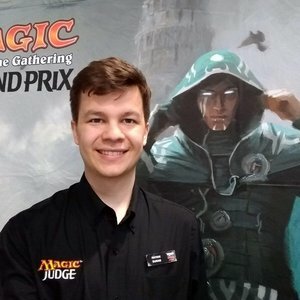 Judges have a possibility to form the community. They can help it grow and I think they should, because Magic is a beautiful obsession for everybody. You can create a “third place” for players. Meaning that when they are not home or at work they want to come to the store and just have fun playing the game they love. Or they can help kids to find love in strategic thinking, learning the language and improving their social skills. I know this from my own experience, because when I discovered Magic I myself was that kind of an introverted geek boy who loved playing games. 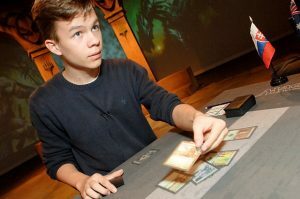 Magic helped me at school and gave me friends for life. You were also nominated for being a TO who possesses amazing organizational and customer service skills. How does being a TO impact your involvement and perspective as a judge? I think becoming TO was beneficial for me as a judge, because I started to care much more about the players personally. 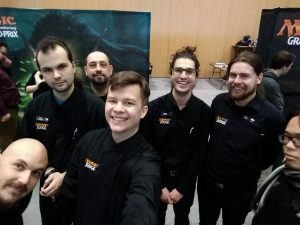 I learned to know the backround of my local players in order to be able to serve them better while I am judging and they know that I am there not only to solve their ruling questions. I am also trying to transfer this “caring” style to GPs so players do not have a feeling that I am just a robot who only cares about rules. Because in the end, we are there for them. 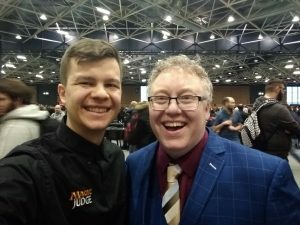 I have a lot of nice stories, but one of my favorites is from GP Madrid from last December. I had to give a game loss to one of the players because the only foils in his deck were Cryptic Commands and Lightning Bolts and it was clearly visible. After his game I approached him again and advised him on how to store foil cards with moisture absorbers so they will not bent. Later, he found me at the next GP and brought me a chocolate for helping him. I love those moments. It literally changed my life. Right now I feel that the biggest influence are the GPs. I started to judge on international level last year but I fell in love with the community. Everyone is very kind to me and I am learning a lot. It helps me to grow as TO/community leader and it gave me a lot of opportunities to visit nice places and meet amazing people. The best part is that we are not just community, but one big family. 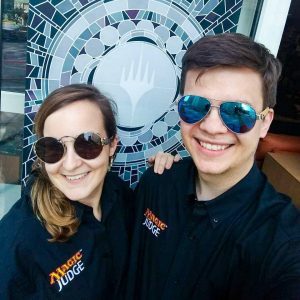 It is not just tournament play here, we go for vacations or escape rooms together, we have board game nights…and every year I try to do Nationals as one big gathering of our whole community at one place with lot of magic, but also a lot of non-magic fun. I love playing board games with my friends and colleagues from work. Board games are great when I want to have a break from magic, but I still want to experience that great feeling of finding a way to win. 😀 …and when I just want to relax, I have my two loves. My fiancée and our dog. My classmate brought it to school when I was thirteen. It caught my attention because I played chess competitively. 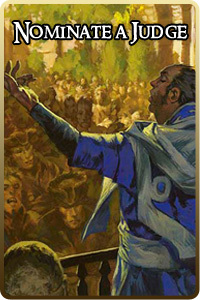 Magic in its core is a very similar game but with great art and a lot of different formats. Magic is like chess game in which you can choose pieces you want to play with. In a few weeks Magic had spread across our whole school. We even had a tournaments at school as an after school activity. Same as Liliana, Untouched by Death from Core 2019…just replace the word “Zombie” with “Merfolk”…and make it blue. That kind of planeswalker is my dream right now. It is not really a magic related rule-breaking play, but when I started to play Magic my parents were against it. They thought it was a hazardous card game that I played with some weird people. So when I wanted to play Magic, I told them that I am going to play soccer with friends. I took a ball with me and put on my soccer shoes. And then I ran away to the bus terminal, because the closest local game store was twenty kilometers away from my hometown. My fiancée’s favourite format is Standard. Zohar Finkel is not actually related to Jon Finkel.